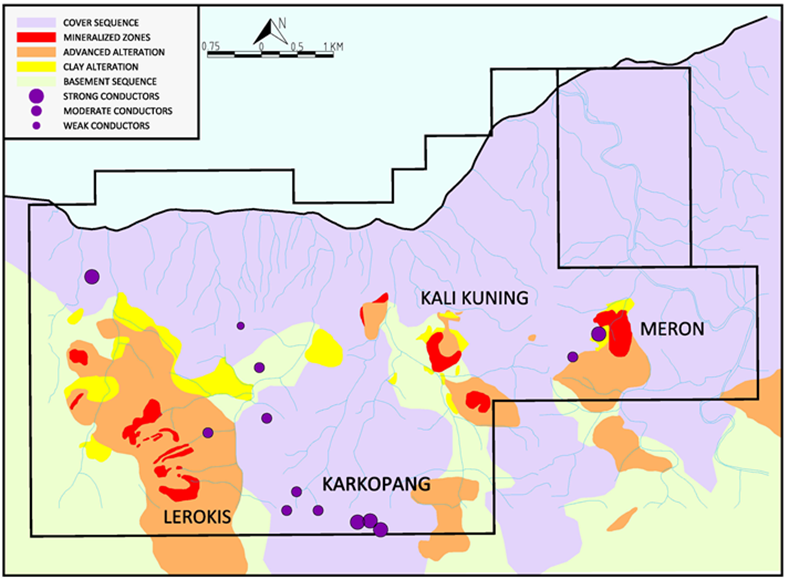 Similar style mineralisation and potential for additional resources has been identified near the Kali Kuning deposit at Meron and Karkopang. 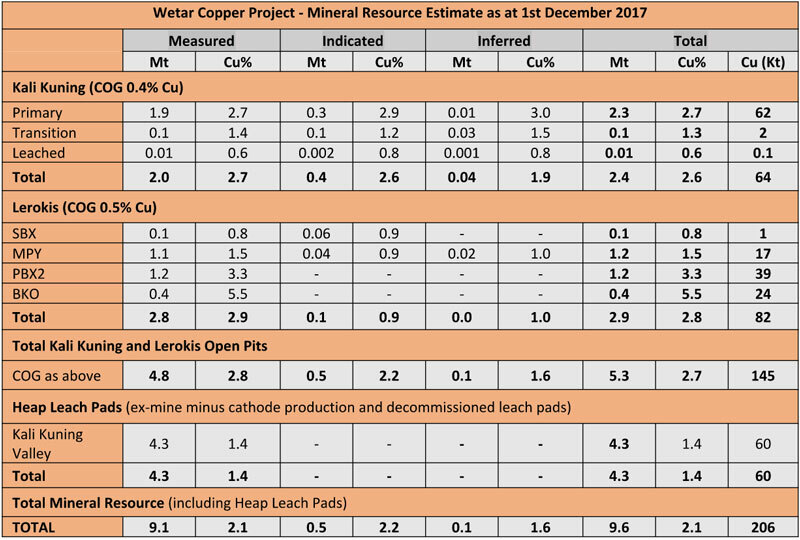 Partial drilling of Meron by a previous explorer has shown encouraging copper assays. 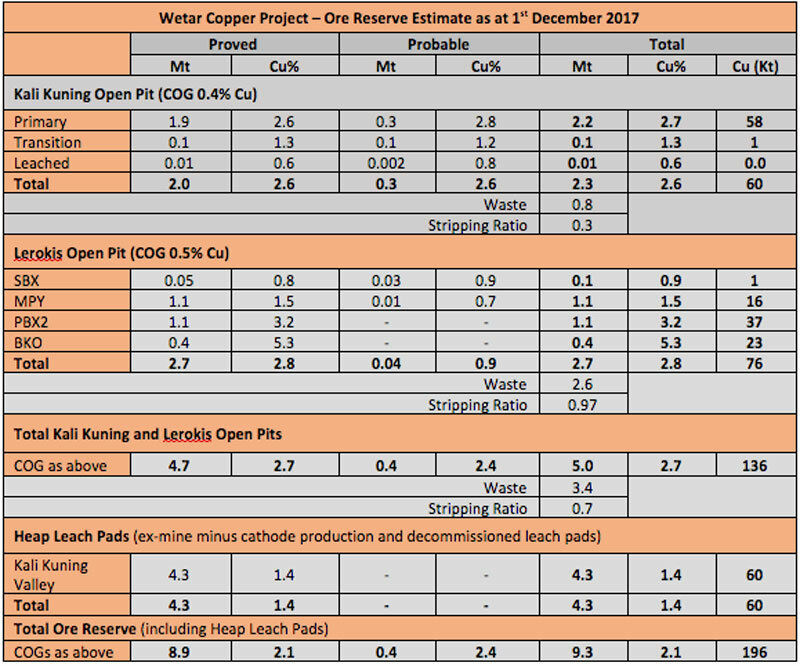 Gemcom Whittle pit optimisation software was used to define economically optimal opencut shapes to guide the detailed pit designs and sequencing assuming a base case copper price of US$3.00/lb. Whittle shells were used to guide detailed pit designs including berm and bench configurations recommended by geotechnical consultants SRK.